Buying a car is a huge decision, and you want to come to a team that you can rely on when it comes time to make that decision. See how great our team is by reading the reviews and testimonials that we have below. 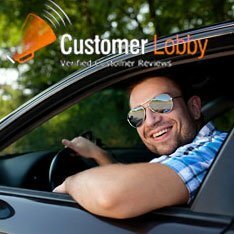 After you have been to Team Gunther Kia, then you can write us a review or a testimonial of your own. We hope to hear from you soon. Thomas is a JOY! He made buying a car stress free. I too am in sales.... we could all take pointers from Thomas. He not only found me the perfect car in my price range, but I feel I made a friend too. He listened, wasn't pushy, walked me through my options... etc etc. Class Act! Thanks Thomas. This is the best dealership around. I love my new passat R-line. I got a great deal thanks to Bryan Bastow. He is the best you should buy your next car from him. He knows how to sell you a car with no pressure. He is a great guy and this is a great dealership!!! Great Experience! Dealership clean and organized, very friendly. T.C. Johnson was very helpful and we left with a smile on our face and a truck for my son.